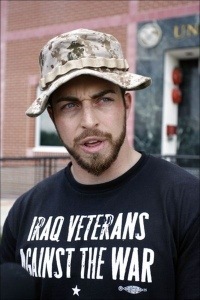 Freedom is the title and theme of a new book by Adam Kokesh. Released this year, Freedom is a work of mature philosophical theory that is timely and relevant as it is thought-provoking. In Freedom, Kokesh goes beyond apologetics for voluntaryism, and actually speculates about some innovations coming with the exponential progress of technology which could make it more realistic than ever very soon that some services which have traditionally been taken for granted would be provided by government, might likely be provided through the free market as the inherent inefficiency of bureaucracy renders government services obsolete (by the speed of technology in the liberated marketplace). While many themes throughout the book merit their own extensive investigation as deep philosophical topics, Kokesh manages to communicate in such a way so as to explain these concepts in much more manageable lay terms and with relevance that much ideological writing lacks. One might say that Kokesh has a talent for bringing the topic of freedom to life in vibrant fashion. With an apt anarcho-capitalist view, Kokesh explains the problem of how and why government is a corporatist and incompetent mechanism by which to provide many services commonly taken for granted – even the infrastructure of roads. “A monopoly policy that limits competition by force will lead to underserved consumers. They will pay more and services will be worse.” In this section of the book, Kokesh also shows how the bad decisions of allowing the management of roads to be left to government also lends itself to the birth and growth of more state power and unjust revenue-generating via policing for profit by the armed agents of the state on the highways. Kokesh also reveals the paradoxical nature of how we presently handle crime in America by showing how we force the victims of criminal behavior to pay taxes to fund locking up and supporting the criminals who aggressed against them. Kokesh even offers free market principles as a realistic alternative in which justice may be better served by a natural law approach such as reparations from the aggressor to the victim (as opposed to the present system of punitive and corrupt bureaucratic prisons). As one might guess would be the case in a book about freedom written by an anarcho-capitalist, the axiom of self-ownership of the individual is a central and recurring theme. Kokesh states, “All concepts of rights comes from self-ownership.” As many libertarian thinkers do, Kokesh stays true to first principles while following it through to its’ logical conclusion when he also states, “Because taxation is backed up with the threat of force, it is theft; plain and simple.” It is here in which one can see much of the Rothbardian (as in economist and author Murray Rothbard) influence pointing out the invalid authority of the state from both the economic and moral points of view. It can also probably be said that Kokesh pulls no punches and doesn’t mince words, but communicates clear principles in poignant fashion in Freedom. Although I’ve spoken similar sentiments, it’s been rare to hear or read anywhere else, words similar to these in this book: “Locking someone in a cage just for doing something you don’t like, makes you the criminal.” Although that may seem a radical statement to some, I immediately recognized this as an uncomfortable truth. Just because a statement is shocking and possibly controversial, doesn’t exclude its’ measure of truth. When taken in perspective of just how unjust, corrupt, and depraved is the current establishment in the American criminal justice system which rivals any oppressive regime in world history with it’s appalling war on people who have committed technically “illegal” actions against legislation but creating no victim; certainly there is a case to be made that such scathing and confrontational rhetoric may be warranted in the struggle against the uncontrollably violent leviathan state. Not to forsake the topic which was one of the keys in his own ideological journey, or to omit identifying what he considers to be the greatest affront to freedom, Kokesh says, “War is the height of statism, and the greatest crime against freedom.” Again, Kokesh makes both the moral and economic arguments for this position, and has more cogent philosophical underpinnings for this position than most one may normally tend to hear. I can confidently recommend this read to anyone. Freedom is a book from which pretty much anyone should be able to glean something worth the thought exercise. Freedom is a good book for the libertarian newcomer, as it contains the core principles and extrapolates consistently from those fundamentals. It is a good book for the advanced reader, as there is enough development of how libertarian thought could be applied to modern pressing social ills that it warrants academic consideration. 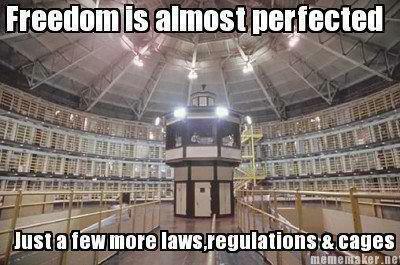 Freedom is also written in such an effortless and readable tone that it could be enjoyable to just about anyone. I was impressed with Freedom enough that it will be my pleasure to look forward to the next installment by the author.